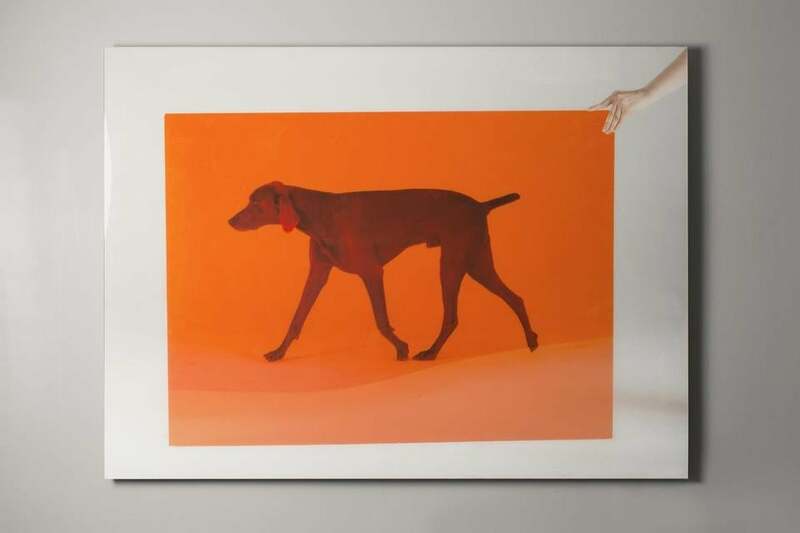 One of William Wegman’s pigment prints on display at the Museum of Dog in North Adams. 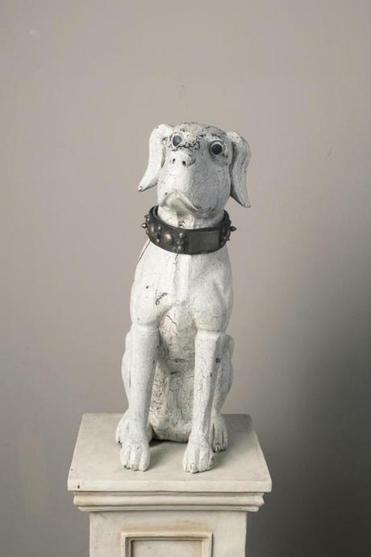 One of the dog sculptures on display at the Museum of Dog in North Adams. Every dog has its day. In the Berkshires, that day was March 3. Following many months of tail-wagging anticipation, the Museum of Dog finally opened in North Adams. The year-round museum is housed in the historic former North Adam’s Quinn’s Paint & Wallpaper Co. space on Union Street. Exhibits include photographs by William Wegman, sculptures by Mary Engel and Kathy Ruttenberg, and unique collections like rare antique dog collars and antique Steiff dog hand puppets. “Dogs are such a big part of our lives today,” says David York, the museum’s founder. “Museum of Dog is a timely tribute to honor them.” Many of the dog-centric items housed in the museum come from York’s personal collection. The museum will also feature rotating guest artists and will participate in ArtWeek, a statewide arts festival that kicks off April 27 and runs through May 6, with the exhibit “Come See About Me: Daisy,” the take of York’s rescue dog, Daisy. “She is a Weimaraner and loves to ride in her beloved Jeep,” says York. “Through her excitement over the years, she has destroyed most of the Jeep, but the results are considered her art project. The Jeep is being disassembled and mounted on white exhibit blocks as part of ArtWeek.” And the Jeep’s seat, windshield, dash and other parts have been preserved and turned into a wind exhibit for visitors, he says. 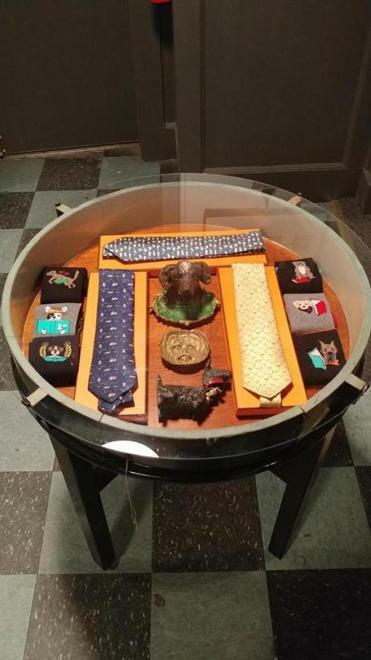 Unique collections of dog-themed goods are among the displays. Doggone it, the museum is not open to canine guests. However, York says, special dog-friendly tours will be offered at specified times throughout the year. And while M.O.D. does not have a café, two food trucks will be nearby, including a Pupcake Bakery Truck and Bowlin on the River, which will feature a build-your-own salad bowl of greens, veggies, and proteins.